Many people live in the suburbs because they prefer the peace and quiet and the outstanding living conditions. They usually seek out lovely neighborhoods, where they can feel safe and enjoy the beauty of nature and their friends and relatives. 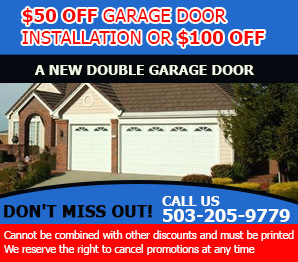 Homeowners, who live in single family houses with nice and spacious garages, usually, invest on excellent garage doors. Although, the crime rates are really low in small communities taking extra security measures that will guarantee their safety is almost a prerequisite. When people invest on garage doors, they actually invest on extra security measures. For, garage doors are not mere entrances for their car; they are part of each home’s security system. Our company has repaired and installed thousands of garage doors. During our long years of experience, we realized that people tend to neglect regular garage door repair services, especially when they are faced with small damages and malfunctions. Some homeowners, who have expensive houses and cars, neglect the good maintenance of their garage doors. So, you observe gorgeous homes with broken or seriously damaged garage doors. Garage doors and their component parts don’t cost too much, especially if you take into consideration their longevity and continuous work. Actually, our company carries the best replacement parts and the greatest collection of the latest garage door models by the most reliable manufacturers, such as Liftmaster, Craftsman, Chamberlain, Skylink, Genie and others. We live and work in Lake Oswego, and therefore, we know the residents’ needs. Our people will help you pick out a door of your preference according to your needs, style and budget. They could also direct you on choosing the right opener, springs or sensor for your door and they will program your remote. They always stock their vans with the products necessary for all repairs and installations, so that they can be prepared and ready to respond immediately to your call. In fact, if you find yourself in a difficult situation during a holiday or in the middle of the night, Garage Door Repair Lake Oswego will be right over to solve your problem. Our people are excellent and experienced technicians, who have worked hard for a long time, and therefore, they are very skilled. They are also licensed and certified to complete each job efficiently and they are always informed about the latest technological advances concerning our field. New techniques and methodologies will enhance their work and they will be able to give you better solutions to your problems. The alignment of a door or the replacement of openers and garage door springs are part of their daily routine. They can pull through even the most complicated jobs and they always wear a beautiful smile on their face because, after all, you are our friends. They will replace the bent cables and the broken tracks, they will repair the safety latch, and they will replace the weather strip or install a new glass garage door. Behind the façade of a successful tradesman hide long hours of hard work, punctuality, professionalism and the will to keep learning and training. The satisfaction of our clients is our main goal and your good word always satisfies us. We are aware of the difficult economic period, but when you call our offices and hear about our prices, we bet you are going to have one more reason to be happy about living in this town.